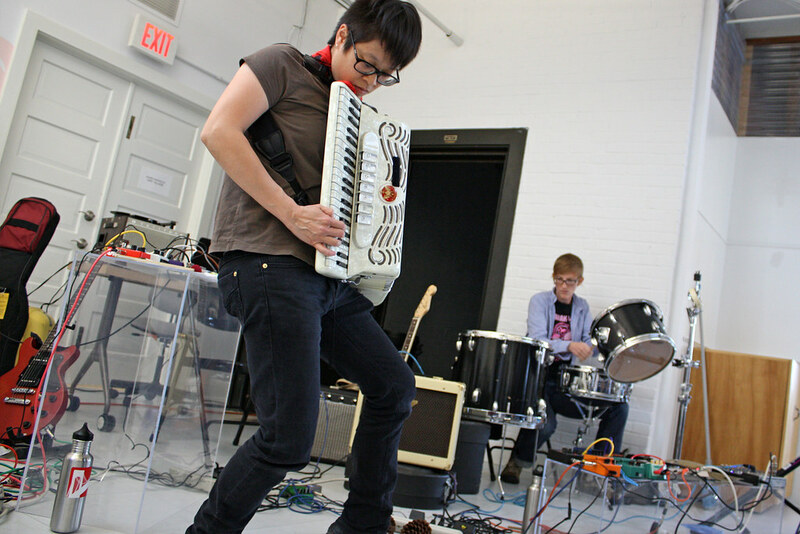 We played at Queering Sound 09 at Pyramid Atlantic in downtown Silver Spring on Saturday. Along with a few of self-composed numbers, we played a cover of “AOS”, an instructional piece written by Yoko Ono for her collaboration with Ornette Coleman. We also played a short improvised piece with our friend Martin Terrazas. It was super fun! 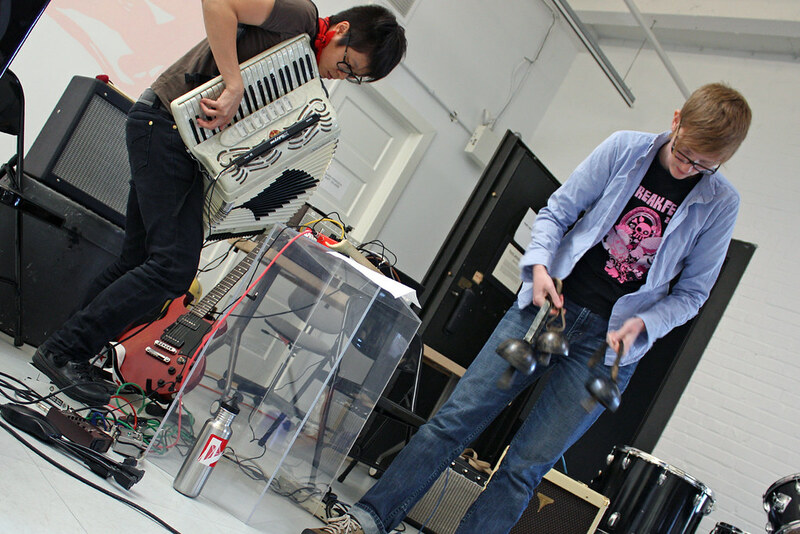 This great two-day event was organized by Jim Adams and made possible by Triangle Artists Group and Sonic Circuits. The Saturday portion features experimental DC’ers including: BLK w/ BEAR + VJ Poppins, Dead Violets, Grapefruit Experiment, Nick Lopata, and Elite Barbarian. The Silver Spring Penguin covered the event with a nice photo and description of GFX. Beautiful pictures taken by our friend Hong “Waldo” Nguyen will soon be posted.